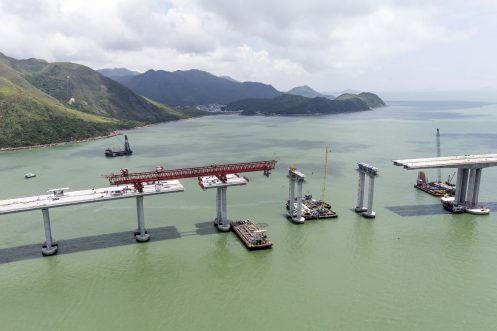 The proposed HKLR is a dual 3-lane expressway plus hard shoulder with a total length of 9.4km viaduct connecting the Hong Kong – Zhuhai – Macao Bridge (HZMB) at the HKSAR Boundary and the Hong Kong Boundary Crossing Facilities (HKBCF) at the north eastern waters of the Hong Kong International Airport, which forms a part of the strategic route connecting Hong Kong, Macao and the Western Pearl River Detail. The HKLR alignment commences from the HKSAR boundary to the landing point at San Shek Wan headland and then up to Scenic Hill after skirting along southern seawall of Airport Island near Airport Channel. 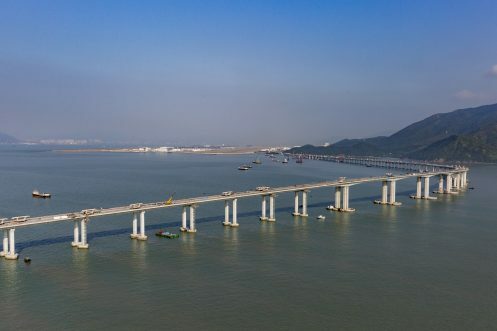 Along 7.4km marine viaducts in HLKR, two navigation channels are provided, one at Western Waters with a maximum span length of 150m and the other at Airport Channel with a maximum span length of 180m. 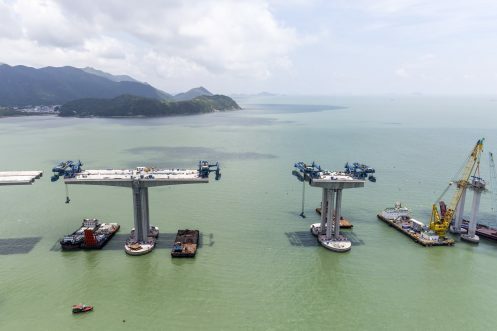 The viaduct structures are constructed by the precast segmental balanced cantilever method.